Diversity of soils and climates combined with large vineyards with low production costs are the main features of Ribatejo. This fertile region, with high yields that once supplied the domestic market and the colonies in Africa, produces red and white wines of quality at an extremely competitive price. Ribatejo Wines There are 78 products. Ribatejo is a Portuguese wine region crossed by the biggest portuguese river (Tejo river), who gave the regions name. The entire region is entitled to use the Vinho Regional designation of Tejo VR, and some areas are classified at the highest Denominação de Origem Controlada (DOC) under dthe designation of Ribatejo DOC. Ribatejo region is located between Lisbon and Alentejo VR, and the Tejo river plays an important role of influencing the winery region who moderates the region’s climate, making it more temperate than other regions of Portugal. 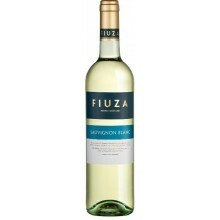 Vineyards are planted in a fertile alluvial soil along the river, making the wine more rich and with a unique flavor. Ribatejo region changed name in 2009 to Tejo to increase the wine regions international reputation. Thre are six subregions of Tejo entitled to the Ribatejo DOC, and the principal grapes of the Tejo region includes Arinto, Cabernet Sauvignon, Camarate, Carignan, Chardonnay, Esgana Cao, Fernao Pires, Jampal, Malvasia Fina, Malvasia Rei, Merlot, Periquita, Pinot noir, Rabo de Ovelha, Sauvignon blanc, Syrah, Tamarez, Tinta Amarela, Tinta Muida, Touriga Nacional, Trincadeira das Pratas, Ugni blanc and Vital. 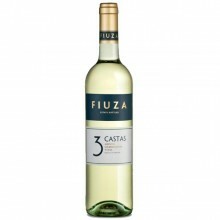 The following Ribatejo wines selection is composed by White Wine, produced exclusively from white grapes juice, and the consumption is ideal with light meals and aperitifs. 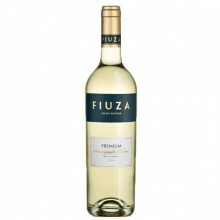 White wines are more refreshing, lighter in both style and taste, and are ideal to drink in the spring and summer occasions. Ribatejo is a Portuguese wine region crossed by the biggest portuguese river (Tejo river), who gave the regions name. The entire region is entitled to use the Vinho Regional designation of Tejo VR, and some areas are classified at the highest Denominação de Origem Controlada (DOC) under dthe designation of Ribatejo DOC. Ribatejo region is located between Lisbon and Alentejo VR, and the Tejo river plays an important role of influencing the winery region who moderates the region’s climate, making it more temperate than other regions of Portugal. Vineyards are planted in a fertile alluvial soil along the river, making the wine more rich and with a unique flavor. Ribatejo region changed name in 2009 to Tejo to increase the wine regions international reputation. Thre are six subregions of Tejo entitled to the Ribatejo DOC, and the principal grapes of the Tejo region includes Arinto, Cabernet Sauvignon, Camarate, Carignan, Chardonnay, Esgana Cao, Fernao Pires, Jampal, Malvasia Fina, Malvasia Rei, Merlot, Periquita, Pinot noir, Rabo de Ovelha, Sauvignon blanc, Syrah, Tamarez, Tinta Amarela, Tinta Muida, Touriga Nacional, Trincadeira das Pratas, Ugni blanc and Vital. The following section of wines is composed by Rosé Wines, also known as Rosado, is made from a wide variety of grapes, and may be the oldest known type of wine. 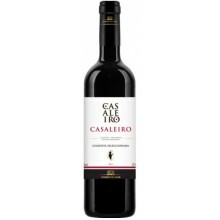 It incorporates some of the color from the grapes skin, but not enough to qualify it as a red wine, and can be found across the globe. The color of Rose wine can range from a pale orange to a vivid near purple, depending the grape varieties used and the winemaking techniques. The skin contact is one of the methods to produce rosé wine, when the black-skinned grapes are crushed and the skins are allowed to remain in contact with the juice from one to three days period. The Saignée (from French bleeding) method is applied when the winemaker desires to impart more tannin and color to a red wine, where some of the pink juice can be removed at an early stage. The Vin Gris are wines made from the immediate pressing of red skin grapes without any maceration time.